Product prices and availability are accurate as of 2018-10-21 08:54:53 EDT and are subject to change. Any price and availability information displayed on http://www.amazon.com/ at the time of purchase will apply to the purchase of this product. 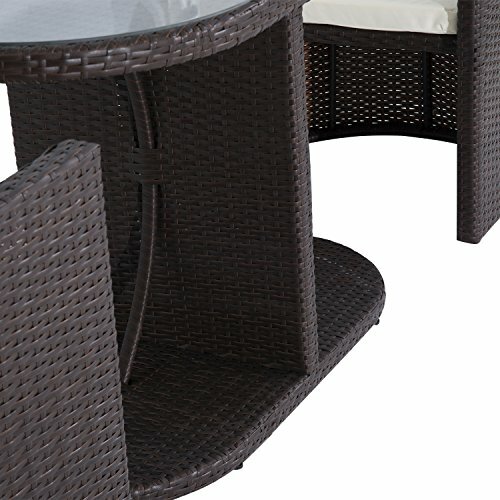 Put some ice in your drink and cozy up by the pool with this Outsunny rattan wicker chair set. This versatile chair set can be used for parties or for relaxing with your loved ones in the sun. 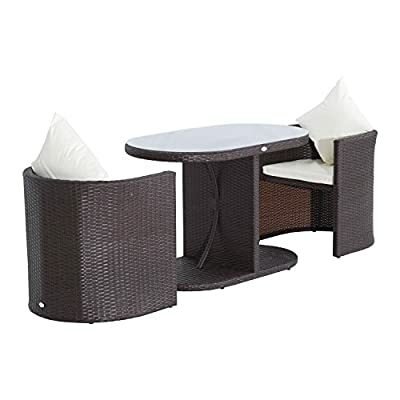 This outdoor set is made of PE rattan wicker that is UV resistant and water resistant so it is able to withstand moderate weather but may need extra protection against extreme weather. 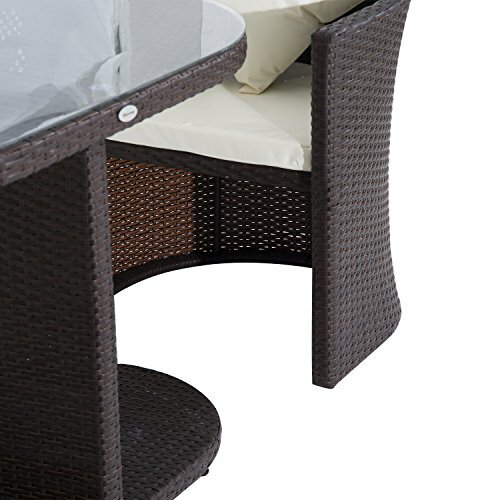 The set comes with two chairs and a table so it is perfect for backyards or patios. When not in use this set can be stacked to keep it out of the way and save room. 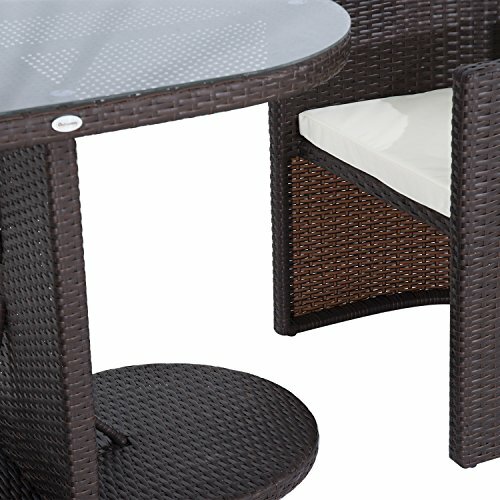 With its combination of durability and style this patio set will be a great addition to your backyard at an affordable price. So sit back, relax and forget your worries with this outstanding chair set by Outsunny. - Seat Cushion thickness: 2"